StorageWorks Inc. is fully staffed and insured to offer total installation and knock-down services. Our crews are experienced, knowledgeable, flexible, easy to work with and responsive. By offering full capability mechanical and electrical installation services along with our products, we are capable of handling any installation challenge nationwide. Our steel toolboxes can be easily configured according to your needs and can provide you with the durability you’re looking for. 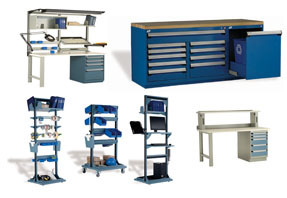 A wide range of housing and drawer dimensions, as well as a multitude of accessories, allow for a many configurations to be created with our heavy-duty toolboxes (400 lb. 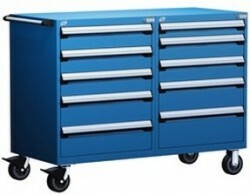 capacity per drawer) or compact toolboxes (100 lb. capacity per drawer). Whatever you need, we have the solution for keeping your tools close at hand! Flexibility and security are the key to professional weapons systems whether housing firearms for Police or Sheriff Departments, Evidence Rooms, or Military Arsenals and Armories. 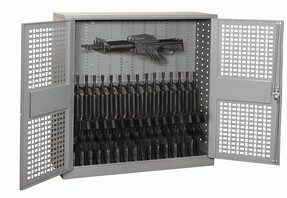 A well planned storage system handles multiple styles of firearms and ammunition, optimizes space, and provides solid security. Let us help you restructure your work space with Modular Drawers. 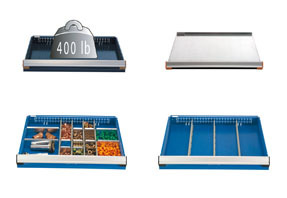 With a 400 lb capacity per drawer, you can eliminate problems such as poorly lit shelves, difficulty accessing material and backaches caused by inadequate storage. StorageWorks Inc. offers In-Plant Offices, Portable Offices, Modular Clean Rooms, Modular Offices, and more. 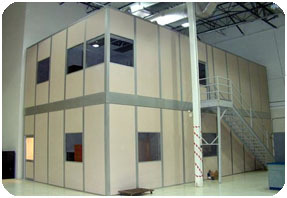 Modular buildings offer numerous advantages to conventional construction. They are economical, flexible, durable, have "green" benefits, are aesthetically pleasing and a modular office build is typically much faster than traditional construction. 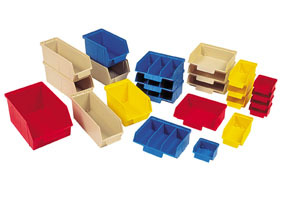 From stackable storage bins to nesting shelf bins to industrial, material handling, and consumer totes and containers, the injection molded bins and complete bin systems offer a storage solution in any requirement. Suitable for any type of application, Quantum's bins are large and tough enough for the storage of heavy power tools and yet optimal enough to keep your smallest items safely contained and organized. 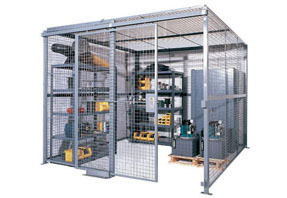 Separate, secure, or store valued items with Wire Partitioning. Use panels and steel support posts to build partitions, enclosures, or storage areas of any size or configuration. Unique design conceals all hardware from the exterior of secured area. Full line of hinged, sliding, and vertical rise gates available. 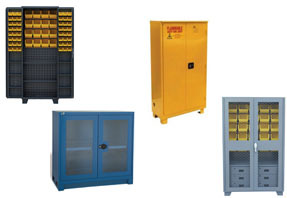 Choose from Security Wire Partitions, Wire Rack Guard, Equipment Wire Guard, Wire Locker Storage, and more. StorageWorks Inc. has all of your technical furniture needs. 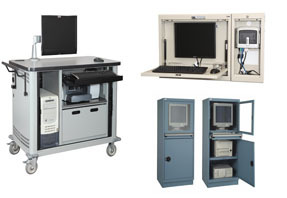 Choose from EMR Work Stations, LapTop Security Carts, CPU Storage, Mobile Computer Stations, Industrial Work Stations, Electronic Wall Stations and more. 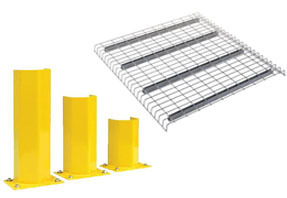 StorageWorks Inc. is a total-solution material handling equipment supplier. From pallet rack, shelving, lockers, wire partitioning, mezzanines, conveyor, mobile high-density storage and total warehouse storage systems, StorageWorks Inc. can provide you the right equipment for your custom application. 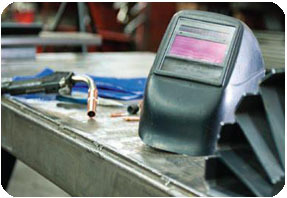 We offer products, design and installation services to customers in all 50 states. Our primary role is to recommend and implement a material handling solution that both meets your project requirements and maintains your satisfaction as a customer. Not only do we have the cutting-edge material handling products to take your business to the next level, we have the design experience to make sure your industrial storage project stays on schedule and on budget from start to finish. Copyright © 2018 StorageWorks Inc.